Amazon has done it again. The tech giant is disrupting another industry, and investors are cashing out of healthcare as Jeff Bezos moves in. In fact, we've found the one pharmacy stock that can weather the storm from Amazon's entrance into the prescription industry. And that means huge profits for you as less-informed investors flee the market. 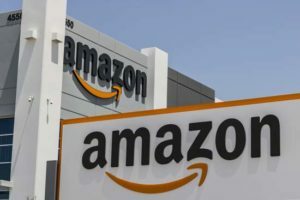 On June 28, Amazon.com Inc. (NASDAQ: AMZN) announced the acquisition of PillPack Inc., an online pharmacy company that ships prescriptions directly to customers. Wall Street took the news as another nail in the coffin for brick-and-mortar pharmacies, cutting $12.8 billion in market value from the pharmaceutical retail sector in a matter of hours. According to PillPack's website, the company is licensed to ship prescriptions in 49 states and generated a profit of over $100 million in 2017. Jeff Wilke, CEO of Amazon Worldwide Consumer, recently said that this established infrastructure and demonstrated profitability made the company a slam-dunk acquisition for Amazon. "PillPack's visionary team has a combination of deep pharmacy experience and a focus on technology," he said in a recent statement. "PillPack is meaningfully improving its customers' lives, and we want to help them continue making it easy for people to save time, simplify their lives, and feel healthier. We're excited to see what we can do together on behalf of customers over time." While this is great news for customers, it's proven to be an ominous development for pharmacy retailers. Amazon's acquisition of PillPack is the retail juggernaut's latest attack on an industry long protected from online sales due to regulatory statutes. In October 2017, the St. Louis Post-Dispatch reported that Amazon had recently received approval for wholesale pharmacy licenses in at least 12 states. With the PillPack acquisition, Amazon's foray into the pharmaceutical distribution industry has contributed to a 10% drop in the three largest pharmacy stocks over the last 12 months. And Amazon's creep into healthcare is unlikely to stop any time soon. CNBC estimates that patients and insurance companies spent $300 billion on prescription drugs in 2015. With more than 4 billion prescriptions ordered in the United States every year, Amazon has plenty of opportunity to capitalize on demand. RBC Capital Markets analyst George Hill believes that "Amazon's official entry into this space will now place a cap on drug supply chain multiples regardless of whether or not Amazon is able to scale the PillPack business." In other words, no matter how successful Amazon is with expanding PillPack, its entrance into the pharmacy business is a revolutionary development that's bound to disrupt the industry. For traditional brick-and-mortar pharmacies to survive, they must evolve to meet changing customer habits and demands in ways Amazon can't. And we've identified one that's doing just that. It's a nationally recognized pharmaceutical retailer that's adopted a radical strategy to adjust to a changing market landscape – and is set to make a killing in the process. It has a Money Morning Stock VQScore™ of 4, indicating it's a perfect time to add this company to your portfolio before it breaks out. Where is the Pillpack symbol for trading or is it privately held? How about CVS symbol?